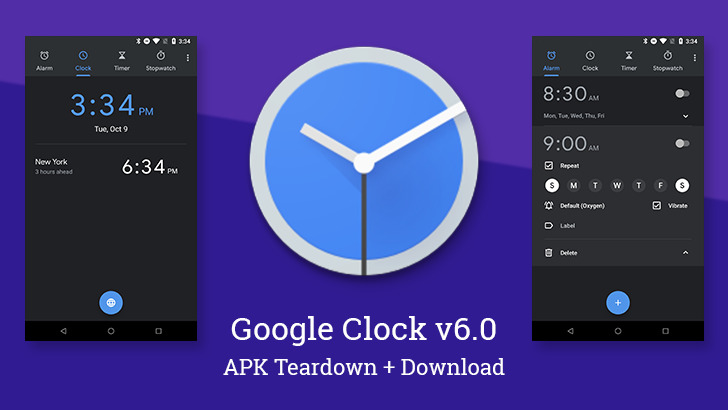 The theme for this update is focused almost entirely on blue colors and rounded fonts. Specifically, some things that used to be white (or more of a soft gray) have turned blue, and all of the text is now printed in a much nicer Product Sans, which has been making the rounds lately. 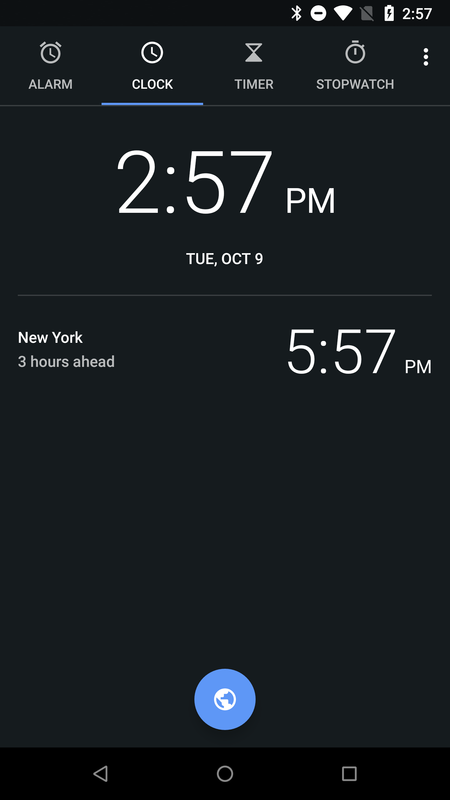 Most of the screens have been given at least a little bit of unique attention, too; although the Timer tab is very nearly indistinguishable from its previous version. 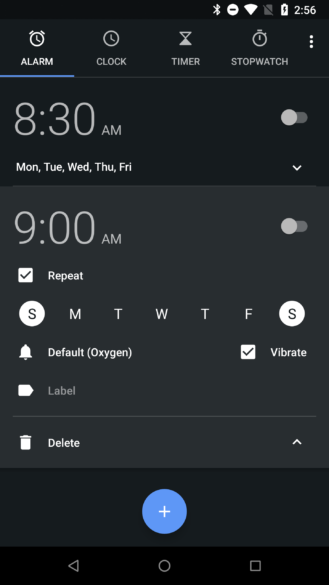 The Clock tab above has switched to a different version of the globe icon, and you can see hollow outlined icons for controls have been substituted for filled icons in the Alarm tab. 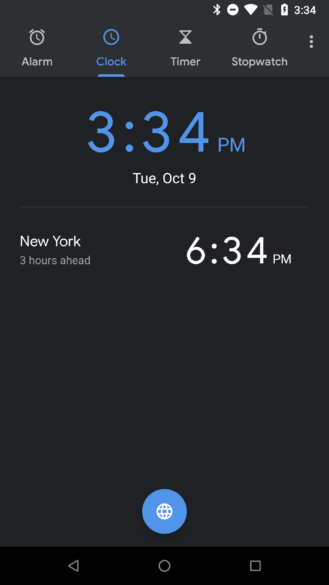 If you were watching today's presentation by Google, you may have caught the part about the Pixel Stand offering an alarm effect that imitates a morning sunrise. 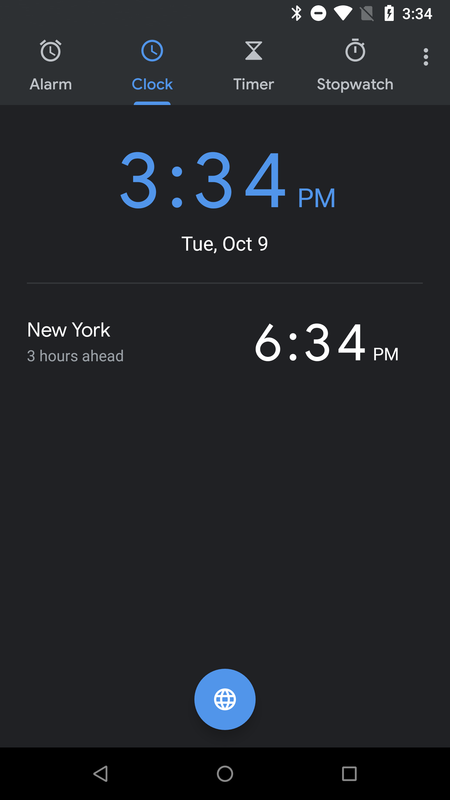 It should come as little or no surprise that the Google Clock app is home to this, or at least part of it. 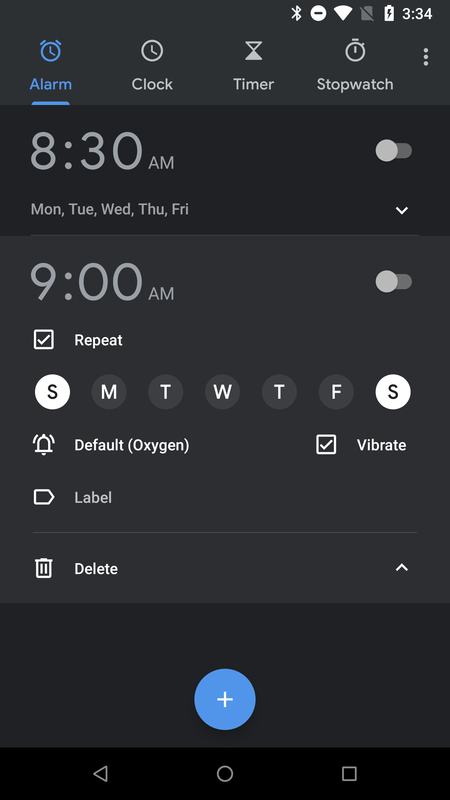 There's not really much new to say here, but the text does include both a button for stopping the sunrise effect and some of the messages used internally for noting that the alarm was canceled on account of other alarms going off, manually canceling, or undocking the phone.